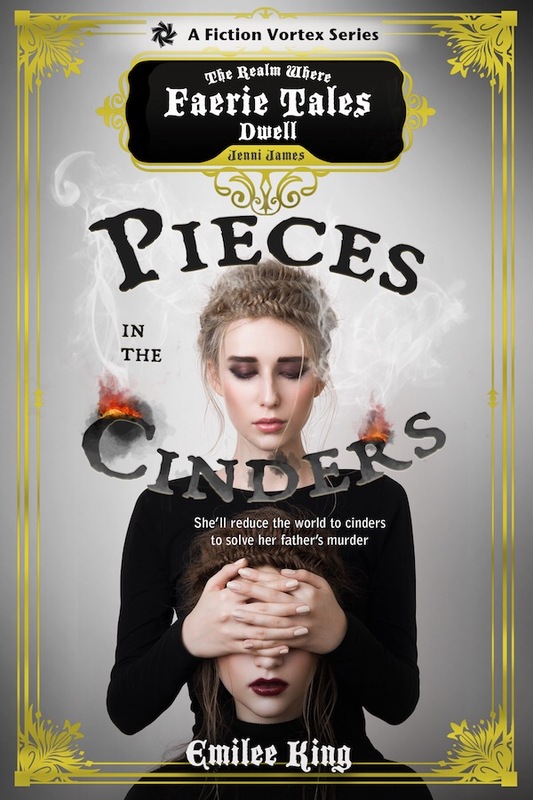 My new book Pieces in the Cinders is live! The first chapter in my new YA fairy tale fantasy series is published and out in the world, and I could not be more stoked to share it with you. The story centers on Stella, a girl living in a rundown village with her resentful (or some might say evil *cough cough*) stepmother while mourning the death of her father five years earlier. Back then, she was told he suffered heart failure, but after overhearing a conversation, she realizes that’s just the cover. Her father was murdered. And the prime suspect? Yep, cue evil stepmother, Natalia. The problem is, the crown just closed the investigation regarding Natalia, because after five years they just couldn’t pin it on her. But Stella knows her stepmother is guilty. She knows it, and she sets out with her best pal Izzy and a few new allies to find her missing godmother and discover what really happened to her father all those years ago. (Here comes my backstory on how the book came to be. If you’d rather skip it and just get to solving the mystery of Pieces in the Cinders click here to order a copy from Amazon). I had just finished writing Arie’s Story, the four book YA survival series that birthed my love for writing and spanned six years of my life (if you haven’t met Arie yet, click here to get acquainted). An Arie-sized hole existed in my core, I was clean out of story ideas, and I thought I’d never be able to write anything else ever again (though I desperately wanted to). Due to extenuating circumstances, I made the decision to take a leave from college (which is just a better way of saying I dropped out), and while I knew it was the best decision for me at the time, it was a massive hit to my pride and totally derailed any life plan I had come up with. Shortly after, several things in my personal life were torpedoed and crumbled to dust. I was barely 21 and sure that I was completely dried up in every aspect of my life. One fateful summer day, as I was scrolling Facebook while in a dismal pit of despair, I saw something that piqued my interest. A lady I’d met at a writer’s conference years earlier had liked a post, and it just happened to show up in my newsfeed. The post was by a woman named Jenni who was looking for writers to sign with this new publisher in Idaho and write fairytale stories. As all creatives do, I immediately assumed I wasn’t good enough for the task and went to move on, but I couldn’t get it out of my head. My sister encouraged me to submit—after all, what did I have to lose? So I did. I submitted a sample of writing, unsure what would come of it. By the next day, I had an email from Jenni saying she loved it and I was in. I had less than three months to come up with a story and get a good chunk of it written. My creative dry spell had to be over, even if it wasn’t ready to be. While the story just had to be set in some kind of fantasy/fairy tale world, I knew I specifically wanted to write fragmented fairy tales because I LOVE reading retellings (Lunar Chronicles, anyone?) and that would be a dream come true. Pressed for time, I started with the basics: Cinderella. The story has been done dozens of times and I wanted to add my take to the pile. On the blank page I saw my Cinderella: Stella. A girl with a stepmother, but without a father. Then I brought in Izzy (short for Isabelle) to merge in my personal favorite, Belle from Beauty and the Beast: a girl without a mother and a father that had been deemed crazy by the community they lived in. They would be best friends—that I knew—but I couldn’t figure out much else. I started reading Grimm’s Fairy Tales, rewatching favorite Disney movies, and pestering my roommates. I went over each angle of the story in my brain, trying to find a way inside, to see Stella’s version of the story. And then, all at once, it came: her father was murdered. Why? By who? Well, I can’t tell you that, but once I made that first crack in my writer’s block wall, the rest broke through. Stella demanded her voice be heard and her story told, and I went along for the ride, writing a FAIRY TALE MURDER MYSTERY—a dream I didn’t realize I had, but there it was. And once I had hold of Stella’s thread, she led me to a bunch of other stories waiting to be discovered. Pieces in the Cinders is the first book of the series, but it won’t be the last. And it won’t be the last you hear from Stella and Izzy either. So what’s the point of this story? I guess I learned that there’s always another chapter. New stories—and new chances—can be just around the corner, if we are patient enough to wait for them and brave enough to pick up the pen and turn the page. Click here to order your copy of Pieces in the Cinders and join Stella’s crusade to find the truth, no matter the cost. As always, thanks for braving this creative journey with me.